when the Post Office QC mentioned the negotiating skills of the NFSP. I was dreading today. I thought it was going to be like the first day of the JFSA QC's closing argument (see Day 12 and the JFSA closing written submission) which was full of opaque exchanges about the meaning of certain sentences and words within the context of complex case law. 1. The JFSA case is a badly constructed attempt to claim many different things in the hope they'll get some through the gate. 2. Evidence with regard to Horizon or the Lead Claimants' circumstances should not even be commented on by the judge, let alone be the subject of any ruling - they will be dealt with at future trials. 3. The claimants' suggestion that there are 21 implied terms in the Subpostmaster contract that need to be inserted does not pass the bar of sufficient necessity. 4. The Authorities (case law) on which the judge should rely are very high level. Apply the law to the claimants' case and it evaporates. You can read the Post Office's written closing submission here. Mr Cavender was cogent. He sought to undermine the JFSA's case by saying it amounted to "an attack on freedom of contract and of certainty of law." 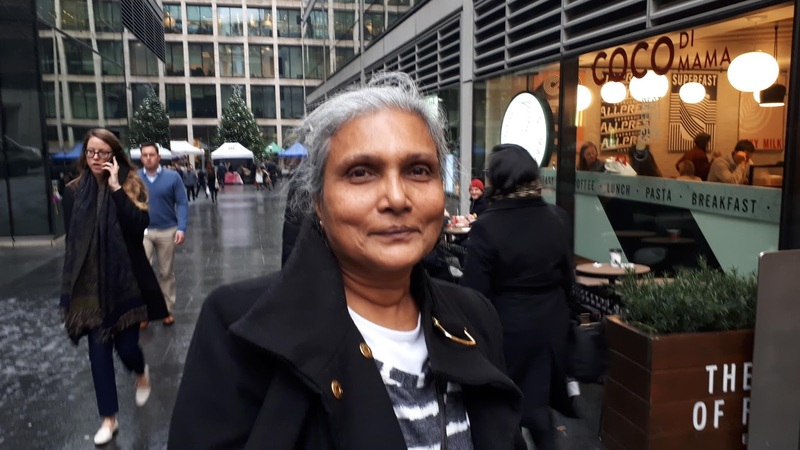 He also pointed out that this case was very unusual, and suggested it was less like a trial and more "akin to a public inquiry into the Subpostmaster contract", which in his mind presents "a real risk of this court being led inadvertently into error." Because this isn't about claimants airing grievances or Post Office staff revealing themselves as the sort of people you wouldn't want anywhere near your business, it's about the law, and contract law, as Mr Cavender would have it, is very clear. The Subpostmaster is an agent. They submit accounts to the principal. They can dispute what they want if they disagree with sections of their account, and the Post Office has a duty of necessary co-operation to find out what might be wrong (diminished if false accounting has taken place). He was dismissive of the JFSA's attempts to paint the relationship as some strange quasi-employment relationship. Clearly! Who needs common sense when you have the law? Mr Cavender made the point that the Arnold judgment was about ordinary people leasing holiday chalets, and it went against them. He suggested that Subpostmasters were in a better position than the lessees in Arnold because their "they do have a trade union-type organisation negotiating for them". This reference to the NFSP caused what I would describe as an involuntary explosion of sardonic exhalation from two claimants (Gita and Preeth) who had come along to watch today's proceedings. They clearly couldn't quite believe Mr Cavender had the nerve to suggest the NFSP was either competent or had the interests of Subpostmasters as its primary concern. But Mr Cavender was unbowed. He said that aside from the 560-odd claimants, there were 11,500 people or businesses who were operating under the terms of the Subpostmaster contract (in its various iterations) who found it worked perfectly well for them. He was especially scathing about the JFSA attempt to insert 21 implied terms into the contract without identifying the necessity for doing so. He also said that even if the contract was in some respects "relational", it was not a good faith contract. The argument was simple. This is business, baby. And the law is the law. There was an interesting exchange between the judge and Mr Cavender on disclosure. Lawyers and investigators have long complained that the Post Office have consistently refused to disclose the information they need to build a picture of what really happened in any given instance where there is a grievance, dispute or allegation of a crime. Mr Cavender sought to make the Post Office's lack of disclosure a good reason for the judge to ignore what it had disclosed. He suggested that any evidence on the effectiveness or otherwise of the Post Office helpline or training should be completely disregarded. of the operation of the Helpline "does not arise in the Common Issues at all" and that is referring to paragraph 61 of the defence. would go to whether the TC was rightly made, mistaken or how the mistake came about. a particular date in 2002 or 2010.
caught by the disclosure that was ordered. disclosure. Because they are all your documents, aren't they? MR CAVENDER: My Lord, yes, "there has been no disclosure"
MR JUSTICE FRASER: I am just being precise about it. FSC for example, we heard something about. exchanges; potluck and not a proper approach on which to examine what happened. problems, and you will recall there was quite a lot done. this sort of casual half-hearted way. the six, in relation to every TC and every dispute. on the investigation in relation to Mrs Stubbs. MR CAVENDER: My Lord, yes. But that hasn't been done. witness. I was able to by luck with a number of documents. wrong to do so, in my submission. Mr Cavender then moved onto construction, particularly the construction of Section 12:12 of the Subpostmaster contract. He argued that deficiencies refer to discrepancies between the stated accounts (on the Horizon screen) and therefore can only happen in branch, so they can only be the responsibility of the Subpostmaster. He also noted that according to 12:12, the Subpostmaster is responsible for ALL losses caused by his assistants, and argued that the initial burden of proof lies with Subpostmaster first to prove that the loss - the deficiency - was not caused by an assistant, and next that it wasn't by his own negligence, carelessness or error. This meant, he said, that Section 12:12 did not apply to Horizon errors (should they exist), because they were nothing to do with what happened in branch. He said through the process of necessary co-operation, if a Subpostmaster were to dispute a Horizon version of accounts, then the "burden" would be on the Post Office to investigate. However, said Mr Cavender, the Post Office is entitled to ignore any possible Horizon error, because the system is generally reliable. The burden of proof then returns to the Subpostmaster to prove that Horizon is the cause of the error. This might sound like a nonsense, but it might also be legally tight. I doubt Mr Cavender would express the Post Office's position in these terms had he not thought he was on safe territory. Unless the Horizon trial proves the system cannot be seen as generally reliable, he may well, legally, have a case. It's the last day of the Common Issues trial tomorrow, but it won't be the last activity you see of this blog. I have been sent a large number of documents and I still haven't uploaded those I do have. I need to index everything I've written, and I am hoping to publish a number of guest posts over the next few weeks whilst we are waiting for a judgment. 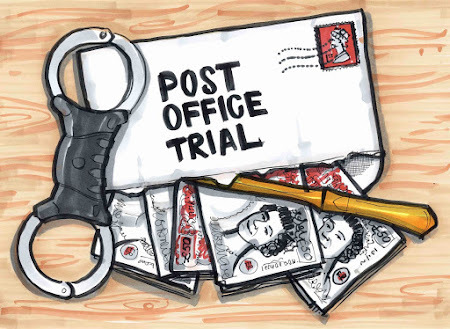 I have repeatedly asked the Post Office to give their perspective on this trial, either via interview or blog post, but so far they have declined. The NFSP declined to respond to my comment piece. But if you are interested in the trial and you want to give me your hot take, I would be most grateful if you would get in touch. I am looking for claimants, Subpostmasters, Post Office employees, lawyers, fraud investigators, NFSP officials, union officials, academics, forensic accountants, politicians, IT experts - anyone who might be willing to write a 500 - 1000 word blog post, ideally on the record.